It is much easier and less engaging to assemble parts of a revolving chair with instructions provided than say Kinkade’s work: Fountains of Blessings. Analogously, it is arguably a much harder and alluring mental exercise to construct highly accurate estimates for alternative futures than say a regression-analysis ran by statistical models. Peering into the past and future, this outlook attempts to create and depict a three-dimensional dynamic situation pertaining to the questions of military security and peace-making in Afghanistan. The three dimensions are interrelated and not created ex nihilo, indeed. Each dimension can be thought of as a scenario, the unfolding likelihood of which varies in future time space, friction and luck considered. Provided that this outlook deals with a high complexity and uncertainty, it applies a combination of appropriate structured analytic techniques to avoid cognitive biases and reduce future uncertainty. The structure of this outlook is by design that of National Intelligence Estimate. It does not predict; it estimates events. This piece organized into five parts: the first section briefly presents a time-machine description that highlights two major geopolitical events of our life time and their impact on our perceptions about how Afghanistan politically arrived here; the second sections argues for a comprehensive safeguarded Afghan peace agreement, and offers three future scenarios forward; the third segment analyzes the three scenarios – impact and opportunities; the fourth section submits key policy descriptions for Afghanistan; and the fifth segment is concerned with the central debate – amid or post-peace settlement, which has conceptual and policy implications. A brief conclusion will follow. It must be clear at the outset that this paper will not define: war, peace, Jihad, democracy, terrorism…etc. In fact, few scholars have attempted develop ‘consensus-definitions’ for such concepts. In dealing with “mysteries” – assessing outcomes of peace-making in Afghanistan being one, one refers to open sources only. This outlook is imperfect at best. The American political scientist, Graham T. Allison, analogized the end of cold war – arguably 1991 – to a “tectonic shift” in the international affairs structure. Similarly, Donald M. Snow termed the terrifying events of September 11, 2001, as a “fault line” (Snow, 2011, p. 130). These were major geopolitical events each with a significant impact, indeed. The world and Afghanistan’s place in it, changed. Peering into the past 40 years through peer-reviewed scholarship on the ongoing evolution of transnational security issues (i.e., terrorism) in the Afghan-Pak context, can offer experts useful security-purpose-specific questions, if not all solutions. Afghanistan has been around for thousands of years; it is still here. The discussion of peace-making in Afghanistan, and by implication of regional and international security, is inseparable from examining the two geopolitical events in the late 20th and early 21st century. An objective – epistemological and scientific – analysis of the 40 years crises would require examining a cause and effect relationship as well as the cultural, psychological, social, economic and political factors. A normative position based on such an analysis could put the responsibility of management on leaders in charge of state affairs during the 1970s fast-forward 2000, and beyond. The record is mixed. However, how did we get here? We may appreciate the highlights of almost four decades through what one would call an Afghan political time-machine. The Cold War rivalrous relationships between the United and former Soviet Union included pushes and pulls in Afghanistan. The Soviet Union troops invaded Afghanistan in December 1979 when Iran experienced the Islamic Revolution. The United States, Central Intelligence Agency (CIA), under President Ronald Reagan’s administration provided the Afghan Mujahidin with financial, material, and political support to repel the Soviet military invasion. The leading scholar on the Taliban, Rashid states that “in Peshawar there were seven Mujahidin parties which were recognized by Pakistan and received a share of aid from CIA pipeline” (Rashid, 2001). The American journalist, Steve Cull at Columbia University confirms in his book that “the anti-communists were funded and armed by the C.I.A., as well as by Pakistani and Saudi intelligence” (Coll, 2018). In 1989, the Soviet troops withdrew from Afghanistan. The Mujahidin engaged in a civil war over the question of national power in Afghanistan. Amid the conflictual relationships, the Taliban emerged and established the Islamic Emirate of Afghanistan in 1996. As expected, the Pakistani government was the first among others to officially recognize the Islamic Emirate of Afghanistan. Lack of a clear U.S. policy for enabling political stability in Afghanistan in the post-Soviet years also allowed the time space for international terrorists to become situated in South Asia. Under the “fog” of the Afghan Jihad, international terrorists such as Osama Bin Laden, in the name of Jihad against the Soviets, managed to create Al-Qaeda (the Base, January 1987) under the “hospitality” of the Taliban in Afghanistan. Furthermore, the senior research fellow at the Norwegian Defense Research Establishment, Anne Steersmen convincingly argues that “from 1996-2001 Bin Laden lived in Afghanistan under the Taliban’s protection and al-Qaida was allowed to grow and expand” (Stenersen, 2017). Al-Qaeda’s terrifying attacks on the World Trade Centers and Washington DC, on September 11, 2001 led the U.S. government to react in extraordinary ways. The U.S. government invaded Afghanistan in October 2001, and with the necessary support of the Northern Alliance, it ousted the Taliban regime. While not an anomaly, one witnessed the chaos – i.e., bloodshed, enigmatic militias, foreign fighters, and purely offensive bombs vertically fall from a B-52 and squarely demolish the house of Malawi Jalaluddin Haqqani in Gardez, Paktia. Moreover, the Taliban and Al Qaeda leaders and members moved into Pakistan. As U.S. interests evolved, i.e., the U.S. invaded Iraq in 2003, the Taliban reorganized in Pakistan and relaunched attacks in Afghanistan. The U.S.-led coalition focused on fighting the Taliban with limited interests in Afghan society/state building, i.e., institutional capacity creation. Since 2002, the Taliban operate on two broader interrelated levels: first, the group is engaged in a militant resistance claiming it to be a legitimate and righteous “Jihad” against the invaders (U.S.-led coalition troops); and second, the Taliban fight Afghan forces for control over territories and resources mostly in “contested” areas. Fast-forward, Afghanistan experienced multiple elections, a security transition, and significant progress in the areas of trade and governance. Some indexes and reports are debatable. Thousands of Afghans have sacrificed over the past 40 years. Political violence and terrorism are still present in Afghanistan. International troops are in Afghanistan for their security interests – regional and international security. Clearly, terrorism is old and new. Rapoport’s explanation of four “waves” of modern terrorism – Anarchist (1880), Anti-colonial (1920s), New Left (1960s), and Religious (1979-present) – provides useful insights about the rise of national and transnational conflicts in reaction to global events. Of course, by no means can one simplify the journey, but this is how the international community and Afghanistan got here. Graham T. Allison coined the term: Thucydides’s Trap. The term captures the essence and effect of Thucydides’s statement about the Peloponnesian War: “It was the rise of Athens and the fear that this instilled in Sparta that made war inevitable”. Thucydides’s assertion is seemingly built on two purpose-specific assumptions: first, dominance created fear; second, fear made war more likely. In Destined for War, Allison describes how China’s rise engenders stress in America, but prescribes that war is not inevitable; hence, the two states can escape Thucydides’ Trap. Recently, efforts are put to test by US and Taliban representatives to end the ongoing armed conflict in Afghanistan through a political solution. Indeed, it would be an awful exaggeration for one to call the Islamic Emirate a major ruling power threatens to replace the ruling Government of Islamic Republic of Afghanistan (GIRoA). I argue: while the U.S. government, Taliban Emirate, and GIRoA desire to end the ongoing conflict in Afghanistan, a successful sustainable intra-Afghan peace agreement that ensures a permanent ceasefire, the reintegration of the Taliban, an acceptable troops’ exit, and protection of regional and international security is one in which all sides win. The Islamic Republic of Afghanistan, US government, and the Taliban Emirate all agree that military – that is, war, is not the solution forward in Afghanistan. The US government, Taliban, and Afghan government are the main parties to the negotiations. Of course, regional actors include Pakistan, Iran, India, and the Gulf States in the diplomatic realm to support (or discourage) the peace talks. Regional states, i.e., Pakistan, Iran, Russia, China, Saudi Arabia, Qatar, and the UAE (among others) each claim to support a peace agreement between the Taliban and U.S. government to the extent that their interests are met. Hence, a pure strategic choice. Iranian Foreign Minister, Java Zarif, expectedly in an old and new diplomatic tone, emphasized strengthening regional approach to security and economic- challenges. While confirming Iran’s support for Taliban’s political participation in Afghanistan, Zarif had stated that “but we also believe that the Taliban should not have a dominant role in Afghanistan.” Furthermore, Russia and China strategically chose to hold meetings that pressured Pakistan to bring the Taliban to the negotiation table. Consider the impact of U.S. sanctions on Iran, China’s loans to Pakistan, Afghanistan’ waters flowing into Iran, and Saudi and Iran relations…et cetera. Provided that the US and Afghan government are strong sovereign partners, the Taliban has difficult time excluding the Afghan government from a peace settlement. The United States has vital interests in Afghanistan and beyond, for which it is determined to pursue and protect (See US Strategy in Afghanistan and South Asia). The Taliban Emirate aspires for political power sharing in Afghanistan and demands the withdrawal of all international troops. The Afghan government (and virtually all political parties in the country) embraces a political settlement with the Taliban and remains committed to its strategic partnership with the United States. Of course, the Afghan government has state-to-state relationships with regional and international states and legitimate organizations. What prevents the parties from reaching a peace settlement acceptable for all sides? Perceptions of the three parties differ. The Taliban ignorantly views the current Afghan government as “illegitimate” and the US as an invader and occupier of Afghanistan. The Afghan government views the Taliban as a political party that has an “organic” relationship with the Pakistani military and intelligence apparatus. The US government views the Afghan government as a sovereign legitimate partner, and the Taliban as a political movement at war that threatens US interests. However, all three sides are tired of war. It easier to declare a war, but extremely difficult to win the peace. The absence of war doesn’t mean peace, but the absence of violence – that is, an essential property of the logic of war, is necessary for political and social structural stability. The Taliban has been at war with the Afghan government and the US-led coalition forces for over 18 years. But war has came with heavy costs for all sides. Where do the interests of the three parties converge and diverge? All sides want to end the war; hence, they could agree on a ceasefire. The US government supports a permanent ceasefire, an intra-Afghan peace agreement that ensures the protection of US vital interests and demands a guarantee from the Taliban that no terrorists would threaten US homeland and its interests. But the Taliban seemingly wants two separate peace settlements: a ceasefire with the US government in return for a full troops’ withdrawal; and a ceasefire with the Afghan government for political power sharing in Afghanistan. The Afghan government wants one sustainable peace agreement that ensures national, regional, and international security. The US supports it, but the Taliban seems hesitant. What is next? Three future scenarios are possible. The Taliban and the U.S. government will most likely reach a unilateral political settlement (or call it a peace agreement), which would facilitate for U.S. troops reduction from Afghanistan before the next general elections in the United States (November 2020). The Taliban understand that the current armed conflict is a political one: the Taliban group wants political power in Afghanistan. Taliban currently have no other better options but to support a political solution with the U.S. government. A sustainable peace agreement, which enables a comprehensive national reconciliation with the Taliban in Afghanistan and the establishment of real peaceful relations between Afghanistan and Pakistan, will less likely occur in the next three years. This is partly because the first scenario is at work here, but also the Taliban are motivated by political authority, legitimacy, and protection of lives and treasure; hence, Taliban politically resist. While the U.S. is interested in facilitating for an intra-Afghan peace agreement that would meet the Taliban and Afghan government’s options (interests), the Afghan government differentiates between state-to-state sovereign relationships with the Pakistani government and the reintegration of the Afghan Taliban into Afghan polity under the Islamic Republic of Afghanistan (and the Afghan Constitution). Perhaps not a Gordian knot, the tension between the Taliban and Afghan government is comprehensible but time-consuming. Pakistan has put itself in a difficult position, indeed. It is least likely that the Afghan government will collapse. The Afghan government, political parties, the Afghan attentive and lay public(s), and the U.S.-led coalition will almost certainly prevent such an extremely violent situation. This dimension is the weakest of the three; however, it can possibly surface if and only if, among others, all legal security agreements are suspended, an unprecedented violence (civil war) emerged, and the Afghan security forces obliterated. Certainly, Afghanistan is not in such a position. I posited that the U.S. government is interested in ending the armed conflict and the Taliban have no other better option but to accept it; hence, it is more likely to occur. How and why? Viewed from the realist lenses, several assumptions hold. First, states are naturally driven by maximizing their security interests and minimizing costs. Structural realists, including political scientist Hans Morgenthau, would agree that states struggle to “power-balance” each other. Let us examine carefully. While international troops are in Afghanistan for global security, “currently the United States and NATO maintain nearly 16,000 troops in the country, and Washington pays an estimated $45 billion per year to keep things running” (Rubin, 2018). It is reasonable to think that the United States would certainly choose to support a comprehensive Afghan-led peace settlement, which integrates the Taliban and saves billions spent in its fight against insurgency/terrorism in South Asia. In fact, President Trump’s administration is interested in just that – avoid long wars and minimizing costs. This is not to say that South Asia and Afghanistan’s place in it is not relevant to the U.S. vital interests. Indeed, the U.S. government has strategic and institutional partnerships with Afghanistan and beyond. It is about how strategies and policies are implemented. Reciprocally, the Taliban realizes that a political solution is the only way forward. According to the former Taliban ambassador to Pakistan, Mullah Zaeef, “The current conflict is a political conflict and as such it cannot be solved by the gun” (Zaeef, 2010, p. 243). Despite their sanctuaries in Pakistan, the Afghan Taliban views their portrayal as a violent insurgent group discrediting and devastating to their legitimacy as a political entity, and by implication an imbalance of political power in Afghanistan. If viewed from the Taliban’s perspective, the prolonging of the war is economically and politically costly. History is clear about the fate of major insurgencies: “a study of 286 insurgencies fought between 1800 and 2005, found that 70 percent of all insurgent groups that received external support either won or negotiated a settlement to the conflict” (Jones, 2018). In fact, experts contend that the Taliban were interested in a peace-settlement at the outset of the U.S invasion of Afghanistan. While the Haqqani Network (HQN) in Pakistan has been designated (Executive Order 13224,) as a terrorist organization by the U.S. Department of State, the Taliban is not. Moreover, Pakistan is interested in minimizing threats (of all kinds) to its national security. The Pakistani government views its security in comparative and “relative-gain” terms – India’s capabilities and economy, as well as its military aid to Afghanistan creates a kind of security dilemma. Pakistan and India’s struggle for power-balancing is old and new. In fact, it is an emotional one, too. China’s loans to Pakistan doesn’t seem like a blank-check either. Additionally, China, Russia, India, Iran, and Afghanistan’s northern neighbors fear transnational security issues, i.e., the extant of terrorist and criminal networks that threaten their securities. They participate if benefits are shared. To that end, some major indicators suggest a high likelihood of a political settlement between the group and the U.S. government. President Trump’s announcement of the U.S. Strategy in Afghanistan and South Asia (August 2018), Pentagon’s suspension of $300 million in funding to Islamabad (NPR, 2018), and negotiations between U.S. government and Taliban representatives in Doha (since July 2018) are some trends that shape the formation of the first scenario. Several reasons can alter-this future scenario. Furthermore, the impact of a successful – only if reached – political settlement between the Taliban and U.S. government is multifold. First, it can lead to a possible reintegration (power-sharing) of the Taliban in Afghanistan, only if the frame-work offered by the Afghan government is accepted and implemented; hence, Afghanistan’s vital interests are concerned here. Second, it can isolate and ultimately lead to the demise of the Haqqani Network and their affiliates, and by implication intensify fights against other designated terrorist groups in South and Central Asia. Look at Kashmir. Third, it can ultimately relieve Pakistan from the financial and sanctuary support it provided to the Taliban for many years and create new avenues of cooperation – much desired. Fourth, it can ultimately intensify debates of public policies in Afghanistan – post peace agreement. I stated that it is less likely that a sustainable peace agreement between the Taliban and the Afghan government (political parties included) be reached in the next two years. How and why? While the Afghan and Pakistan government agreed to the “Afghanistan-Pakistan Action Plan for Peace and Solidarity” – which obliges both sides to act against terrorists and insurgents threatening the other, Pakistan is yet to escalate cooperation (Rubin, 2018). Plenty of solid evidences are on the table. First, the Afghan government differentiates between sovereign state-state relationships with Pakistan and a political settlement with the Afghan Taliban group. The Afghan president firmly stated that “the Taliban has two options: either directly negotiate with the Afghan government; or if Pakistan is the group’s representative, then the two states will negotiate”. Second, the U.S. government remains committed to supporting the Afghan government and people. Look at the Enduring Strategic Partnership Agreement and the Bilateral Security Agreement (BSA). Article 26 of the BSA states that “It [agreement] shall remain in force until the end of 2024 and beyond, unless terminated by mutual written agreement…etc.” Even a partial withdrawal of foreign troops from the country would almost certainly take a long time due to complicated and estimative political environments. Third, the Independent Election Commission of Afghanistan (IEC) has set the date (July 20, 2019) for the presidential elections. There are eighteen (18) presidential candidates who have successfully completed the requirements and registered by the IEC. The Taliban reject to participate in the elections. Afghanistan’s president has firmly rejected the creation of an interim government; hence, the elections will be held as scheduled. Fourth, much like the Taliban, Afghanistan today is different than it was in the 1990s or 2001. Consider the gradual evolution of the cultural, psychological, and political characteristics of the Afghan society over the past eighteen years. The opportunities for the Afghan government and the Taliban to reach a comprehensive and sustainable peace agreement are real; however, such an agreement requires clear and independent thinking on both sides, observation and adherence in good faith, and a regional and international legitimate guarantee to oversee the implementation. Pakistan can gain much from cooperating with Afghanistan, U.S. and regional countries than defecting. Consider the TAPI Gas Pipeline from Turkmenistan into Afghanistan…et cetera. The impact of such a sustainable agreement is mainly threefold: national, regional, and international. First, if a sustainable agreement reached, then it would end the eighteen years of armed conflict that has come with costs of lives, money, and infrastructure in Afghanistan. It would strengthen the national democratic institutions, vital for Afghanistan. Second, it would enhance Afghanistan-Pakistan relationships, all else considered. Third, it could enable the assurance that Afghanistan would not become a battlefield for terrorists who threaten international peace and security from the country. Fourth, it could facilitate for future generations to explore avenues of cooperation, innovation, and prosperity in South Asia, and beyond. Several reasons could change this scenario. Lastly, I argued that it is least likely that the Afghan government will collapse. Should the first two scenarios disappear, unprecedented violence breaks out, the BSA is terminated, and U.S.-led coalition troops all withdrew without any support to the Afghan people and government, then the least likely scenario could possibly become the most likely one. While conflicts (of all kinds) form an inevitable part of mankind history, violence is not the only means to political power (a contested concept). Almost four decades have passed since the Soviet troops’ withdrawal from Afghanistan; and two decades since the Taliban Emirate ousted. Afghanistan and Pakistan have struggled to establish peaceful relationships. At the core of the problematic relationship lies a kind of miscommunication about how the two states perceive their own and each other’s national interests. Pakistan’s foreign policy has seemingly shifted between band-wagging and balancing through support for proxy groups over decades. This is exemplified by Pakistan’s siding with the United States, through an asymmetric warfare, against the Soviet Union in 1970s – containment by force in Afghanistan. However, it is hardly surprising that at times Pakistan has cozied up to China and Russia. Conversely, Afghanistan has remained neutral (difficult, indeed) between major powers throughout its political history. Consider the geopolitical competition between Soviet Union and Britain in the 19th century, WWI, WWII, and during and in post-Cold War era. The important question before Afghan leaders is: how to expand on Afghanistan’s foreign policy to win peace; while keeping Afghanistan’s neutrality? Or possibly refashioning it? There are no easy answers. However, the past provides helpful questions: how did/do we define national security? How do we defeat – for lack of a better term – terrorism collectively? Are Afghans safe(r) today, or next year(s)? More importantly, while avoiding questions about emerging threats associated with Artificial Intelligence (AI), how can a peace agreement by the Taliban alone guarantee the absence of terrorism-threats from (or to) Afghanistan? Alternatively, could/would a successful intra-Afghan peace agreement (including the Taliban) in partnership with the United States significantly minimize the likelihood of future hard security threats from and/or to Afghanistan? The policy descriptions here are old and new. Pakistan and Afghanistan are sovereign neighbors. The two countries have geographic, cultural, economic, and political relationships. Asia’s vitality stem from the geostrategic location of Afghanistan. Afghanistan plays a vital conduit role in South and Central Asia. Asia is arguably in the process of becoming the global economic powerhouse (by 2035, global trends/estimates). The causes of global power diffusion in the 21st century need not be conflated with an assumption and irrational fear about a rise of “anarchy”. In fact, scientific innovation, trade, analytic transactions, regional and international partnerships in the realms of security and trade remain steadfast. Look at the major initiatives of the Government of Islamic Republic of Afghanistan in the realm of regional economic integration and interconnectivity initiatives over the past four years. Yet it is equally accurate that terrorism is a threat to all nation-states. Transnational criminal organizations (TCOs) challenge and attempt to erode states’ sovereignties. Examples include Asia(s), and North and South Americas. Pakistan, a nuclear state, is not immune transnational security problems. Afghanistan and Pakistan can cooperate across the board to minimize existing and emerging threats to their securities. Pakistan and Afghanistan can prosper in areas of trade, security and diplomacy through actionable cooperation. China and India can jointly invest in areas of communication, transportation (air and land), and education in Afghanistan without excluding Pakistan. Regional organizations may advance the agenda and framework for Asia’s economic integration as well as cooperative deterrence against terrorism and transnational criminal organizations. Indeed, states are the key actors of this process. If Pakistan (or any state for that matter) remain indifferent to terrorist groups operating within their territories, the consequences are unpleasant for regional and international security. 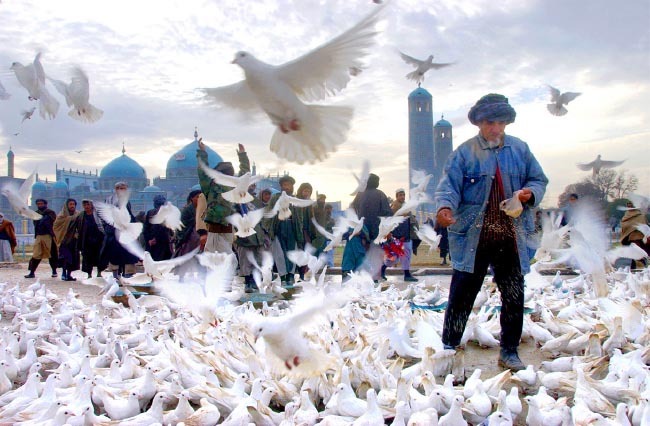 Peace in Afghanistan is imperative. A sustainable peace agreement, Afghan-led and Afghan-owned, is necessary. Any agreement negotiated without proper safeguards is unsustainable. While a successful comprehensive peace agreement would ultimately guarantee a permanent ceasefire, a two- or three-years ceasefire under a legitimate international and regional guarantee must allow for the development of trust, mechanisms, and implementation. Indeed, a sustainable peace agreement – one that fits Afghanistan’s contexts, would facilitate for cooperation between regional and international actors in the collective fight against terrorism and emerging threats. Without a sustainable peace agreement, any unilateral political agreements reached are futile for wining peace. Lastly, Afghanistan has endured pains; it is still here. Afghans can and will reconstruct their country. Afghans are patriots. They love their nation. They are united. They resist subjugation. Afghans need to work harder and shape their future. Mullahs from the Mosques, Hindu/Sheikh form their temples, teachers from classrooms, drivers from vehicles, artists and poets in their works, professors and scholars from professional social institutions, doctors, engineers, and traditional media outlets…the list goes on, in Afghanistan all need to speak, encourage, and implement: peace, tolerance, hard-work, respect, and exercise, indeed. These are universal values; Afghans are in this universe. Media has a responsibility for transparency; factoids are perilous for social cohesion. Nothing is perfect; however, improvements are needed. The Afghan youth forms the mantle of the Afghan society and does play crucial roles in creating and sustaining a positive momentum for peace-making forward. Consider millions of Afghans who are actively engaged in public and private sectors, social professional institutions, and civil and cultural organizations. Look President Ashraf Ghani’s cabinet, which consists young Afghan professional men and women. Indeed, this exemplifies a unique historical transition to a more sustainable political future in Afghanistan. The youth can create a positive atmosphere for encouraging a sustainable peace process in Afghanistan. They do this through discussions, publications, organizing public events, and funding peace-making efforts for the protection and advancement of Afghan national interests and the progress made over the past many years. These sorts of relationships require leadership, resources, and strategic guidance. Every Afghan citizen needs to read and understand their constitution; it is the binding-energy between all citizens and the state. Governments alone cannot solve all problems of societies – anywhere in the world. The important point here is that citizens and the state can collectively do more to minimize problems and maximize well-being (security). Any debate about peace-making with the Taliban would include two essential questions: first, why did the US (with the help on the ground) remove the Taliban regime? Second, if/when a sustainable/comprehensive intra-Afghan peace settlement is successfully reached, then what kind of government will govern Afghanistan? I have already briefly described the two major geopolitical events of our age: the demise of Soviet Union and September 11, 2001 events – significantly shaping the world and Afghanistan’s place in it (or our perceptions of the world). Hence, it should be reasonably clear why the Taliban Islamic Emirate collapsed. Going back in the political time-machine, the Taliban claimed that Jihad, almost termed as just war (a European concept), was waged against the US invasion of Afghanistan. The American military (and its coalition) claimed that the invasion resulted in the long stay of the troops in Afghanistan because the war on terrorism (a contested political concept emerged from the French Revolution 1793-91), was unfinished. This is not to conflate Jihad with terrorism. One would argue this: while certainly none-identical, terrorism and Jihad are (like any other social ideas) concepts – permanent. Since the purpose of a real war was to achieve a policy objective, then it might be asked: did the US and Taliban achieve their policy objectives to end the war? The Taliban Mujahideen would answer: yes, when all foreign troops left Afghanistan. The U.S.-led collation forces would answer: yes, when the Taliban gave a guarantee that no terrorists would threaten US homeland and its interests, from Afghanistan. Indeed, this reads as a discussion within the ambit of a unilateral political settlement between US and Taliban representatives; not a comprehensive intra-Afghan peace agreement. Let’s assume that a sustainable intra-Afghan (Afghan-led and owned) peace agreement is reached by 2023. Here, we turn to the second aspect of the debate: government. The Taliban aspires to establish an Islamic Emirate in Afghanistan. The government of Islamic Republic of Afghanistan have the will and intention to hold elections (July 2019). As it is the case with any informed debate, as an Afghan citizen (and student of political science), I submit to experts the following questions: how is the concept of Islamic Emirate different than Islamic Republic? What is/should be the source of political power and authority for each? The Taliban representative, Abas Stanikzai encouragingly mentioned the concept of “checks and balances” – which goes to the heart of the Federalist Paper No: 51, and the concept of “Natural Rights”. Putting the reconciliation of secular and Islamic political thought aside, how will Islamic Law – ignorantly slandered in some Western discourse – accommodate Natural Law, without rejecting Abu Hamid al-Ghazali? These questions are not called from “ivory-towers”. In fact, they go to the go to the core of state, governance, citizenship, rights, law, public policies…etc. These ideas determine, define, and shape national security, political economy, and politics of social policies as well their implementation. Or are we rejecting these questions when encountered with the geopolitical forces, which are the impetus for the current situation in Afghanistan? Experts and statesmen understand these questions matter for how we perceive a change in nature and life, taking into rational, metaphysical, and economical interpretations of our age. This debate is inevitable. This outlook offered a brief analysis of peace prospects in Afghanistan. It argued for a safeguarded, sustainable Afghan-led-owned peace agreement that could highly minimize violence, threats, and ensure an acceptable exit for international troops as well as the integration of Taliban under the Islamic Republic of Afghanistan. It presented three estimated future scenarios and analyzed them contextually. Moreover, the outlook offered some key policy descriptions to concentrate on state and society building, while advancing peace-making efforts. Lastly, it peeled off the surface of the necessary central debate – amid and/or post-peace agreement in Afghanistan. In developing this outlook, one relied on open sources (peer-reviewed, periodicals, leading newspapers, and declassified materials) and applied structural analytical techniques with maximum effort made to avoid personal and cognitive partialities. Violence is essential to real war. War is ideally unrestrained, but the living forces fighting it choose to give up at some point – moral and psychological and moral forces are always at work. Human nature is violent, but it strives for peace. Humans kill, but morn their loss. Humans distaste pain, but they inflict it on others. Absence of war only means absence of violence (destruction of life). Absence of violence means absent of real war. Lack of war does not necessarily mean peace. Political tensions, natural disasters, diseases, socioeconomic structural stresses, and emerging threats all form a continuous process, but scientific innovation, emergency and consequence-management, strategic and design thinking, and countermeasures are part of the struggle. Yet innovation and development also lead to sophistication and power contestation. Consider the “military-technical revolution” in developed nation-sates, i.e., USA, Russia, and China. Artificial intelligence, precision and long-range weapons, and space-forces are the names of the game. Nonetheless, peace is an imperative. Despite political violence in the country, Afghan youth and women are more likely to participate in state-building and popular confidence is more likely to increase in the Afghan government as institutions are most likely to strengthen under the next administration. Afghans can rebuild their nation; and they should. Here is “fruit for thought”: If not in Kabul or Islamabad, then would it matter if US and Taliban representatives to negotiate in Switzerland or Sweden versus Doha? If so what and how? As much as revolving chairs and statistical models are useful, they struggle to exhaust the powers of human imagination, reason, and mind. Indeed. The Author: Hakim Jan Ahmadzai, an independent Political Science researcher. Areas of expertise: national security, transnational security issues, political theory. Coll, S. (2018). DIRECTORATE S. NY: PENGUIN PRESS. Jones, S. (2018). The Insurgent Sanctuary in Pakistan. Washington: Center for Strategic and International Studies (CSIS). Rashid, A. (2001). Taliban: Militant Islam, Oil and Fandamentalism in Central Asia. New Haven : Yale University Press. Stenersen, A. (2017). Thirty Years after its Foundation – Where is al-Qaida Going? Terrorism Research Initiative. Zaeef, M. (2010). My Life With The Taliban. New York: Columbia University Press. Allison. T. Graham. Book. (May 30, 2017). Destined for War: Can America and China Avoid Thucydides’s Trap? Harvard Press.